QMail Email/Messaging Server | Inter7 Internet Technologies, Inc.
Inter7’s expert team of software professionals provide all aspects of support for qmail. It is free, highly efficient, has excellent security and a large group of active users. qmail is a perfect start for small to medium sized businesses while maintaining efficient growth to scale for high availability, high volume, load balanced, clustered environments. Inter7 also builds and supports large clustered email systems for sites that have high volumes or need high availability. The worries of using a free Internet software package can be reduced with support from our professional staff. 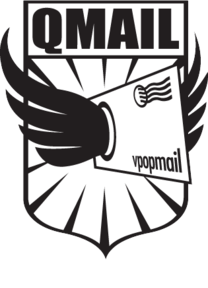 Contact us and we can help you optimize qmail to it’s fullest abilities. Our prices begin at $50 for our Basic Q installation package. We offer free first time installations to educational institutions, and educational discounts for miscellaneous support. Our complete price list is available here. This is a very small sample of qmail users. These businesses count on the stability and security of qmail to provide their customers with convenient, reliable email. Yahoo! The most recognized Internet brand globally, reaching over 237 million unique users in 25 countries and 13 languages.